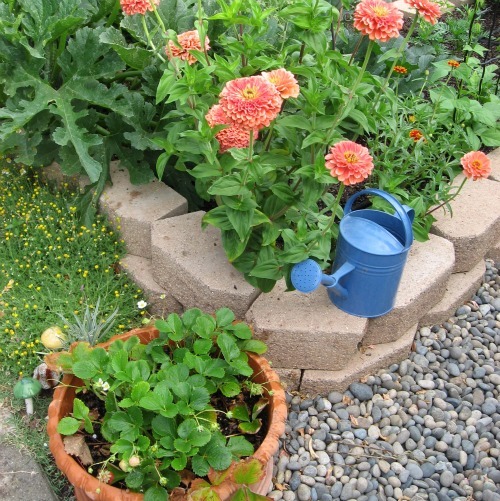 In our area we are fortunate to have the annual Edible Landscaping Tour, put on by Common Ground Garden Supply and Education Center in Palo Alto, California. Now in its fifth year, this popular tour of ten home gardens, plus the Common Ground demonstration garden, will be held on Saturday July 23. Visiting different suburban vegetable and fruit gardens is a fantastic way to get inspired with great ideas; it is also a wonderful opportunity to see a variety of gardens, from no budget DIY to those that have been professionally designed.